CryoMusic™ Interconnects are handcrafted from pure Australian copper. The bare conductors are CryoMusic™ treated, hand polished and cleaned then assembled using the best-known dielectric materials of air and Teflon (PTFE), terminated with CryoMusic™ treated Eichmann Bullet™ RCA plugs using 4% Silver WBT solder. There is no perfect Interconnect; only Interconnects with minimum flaws that best synergises with your system components. CryoMusic™ treatment of the conductors and Eichmann Bullets remove all stresses created in the drawing and forming processes and re-aligns the conductor crystals to maximise the speed, purity and accuracy of signal transfer. 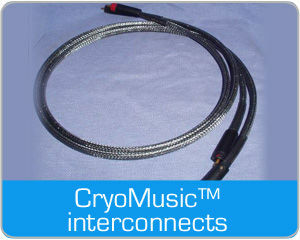 CryoMusicSystems offers 3 models of Interconnects in unbalanced format (balanced by special order). They all share the same characteristics of grain free, relaxed, smooth, extended, fast and dynamic reproduction of music, delivering a musically involving experience. CryoMusic™ Type CR Interconnect suits most solid-state based systems that are lean and bright. This interconnect can sound dark in some valve based systems. CryoMusic™ Type CRW Interconnect is neutral and has been known to suit hybrid and valve based systems. CryoMusic™ Type CW is 'sun-drenched' in character, offering improved resolution and articulation in typically all valve-based systems. Your Type CRW Interconnect betters my Yamamura 5000, at a fraction of the price. 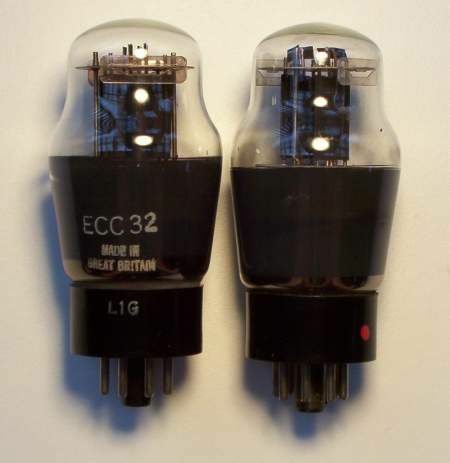 I have listened to and used many interconnects in my lifetime (including Kimber, NBS, MIT, AudioQuest, Cogan Hall, Nordost, Alpha Core Goertz, etc). All of them now sound artificial and somewhat opaque compared to this. This is so far the best interconnect (Type CRW) I have heard! Viceless it seems, I'm sure it has vices but till I hear something better it seems to sound perfect. Resolution and particularly bass are state of the art. I cannot believe how beautiful vocals sound. Mike Lenehan, Lenehan Acoustics, QLD. The replacement of my interconnects with your Type CR, your speaker cables, and the placement of the speakers on top of your FS1 speaker stands have made anastonishing improvement to the sound for a fraction of the price I could have ever imagined. The cables not only reveal more detail across all frequencies, they also allow the detail to be processed more accurately and quickly, resulting in a much more open and transparent sound. The response in the mid-range and bass frequencies are now so much more dynamic I am now hearing the presence of sounds I never knew existed in sound tracks that I have listened to for years. There is also vast improvement in the delivery of the bass frequencies making them so unbelievably deep and clean that I cannot imagine them any better. Thanks to Cryo Music Systems I can now sit back and marvel at the truly wonderful soundstage now emanating from my sound system. 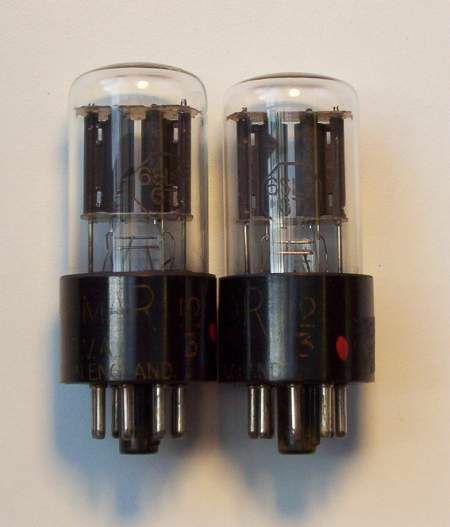 The main reason for writing is to tell you about an opportunity to compare your Type CR interconnect with Nordost Valhalla on a upmarket system that included Halcro amplification. I was surprised to hear that the Type CR interconnect has a almost identical sonic signature to the Valhalla. The Type CR has a slight advantage in the bass, the Valhalla in the highs, and the mids are virtually the same. This is a great performance in absolute terms and incredible for the money. CryoMusic™ Loudspeaker cables are handcrafted from pure Australian copper. The bare copper conductors are CryoMusic™ treated then assembled using a proprietary dielectric material which is better than a non-porous PTFE. Our standard cables are unterminated as no termination is usually best. However, if terminations are required, CryoMusic™ treated Eichmann banana plugs are available. I connected (the L-CR Loudspeaker cables) to dummy load, ran the in for 24 hours, and had a listen. The speaker cables were very much the same results as the (Type CRW) interconnects listed above but then something fantastic happened. I played a Blues LP and Cranked it up The music was SOOOOO smooth, the speaker cables delivered the music with such ease it was a pleasure to listen to at loud volumes. 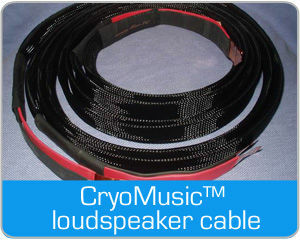 I started comparing the speaker cables to others in the shop and nothing had the depth, soundstage, accuracy, and fluid delivery of the CryoMusicSystems L-CR Loudspeaker cables. When I say fluid delivery I mean FLUID!!! I don't normally play my music very loud but when I did in the past I had always assumed I was hearing electronic noise, speaker break-up, amp distortion, etc. However, after connecting up the CryoMusicSystems L-CR Loudspeaker cables I realized my old speaker cables were the cause. CryoMusicSystems offers a range of fully-tested NOS and CryoMusic™ treated vacuum tubesat reasonable prices. When vacuum tubes are beingmanufactured, stresses are created in the crystalline structure as themetals are moulded into various shapes. CryoMusic™ deep cryogenictreatment removes these stresses, re-aligns the crystal structure andcreates a more dense and uniform molecular structure. 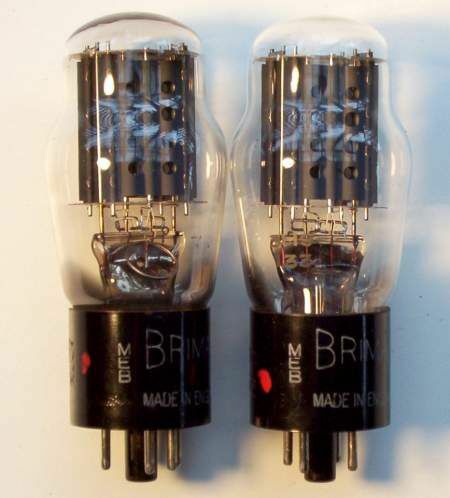 This results in a faster, smoother,grain-free sound with extension in both high and low frequencies.Compared to our treated vacuum tubes, untreated valves sound grainy,artificial and mechanical. Have received full cryogenic treatment. These are early Brimars and considered to be the best. Sweet, clean, neutral and delicate sound. and negative grid bias. When it is suitable as replacement for 6SN7, is considered to be the best made. Have received full cryogenic treatment. English military number 8136. Rugged Military spec version 12AU7. 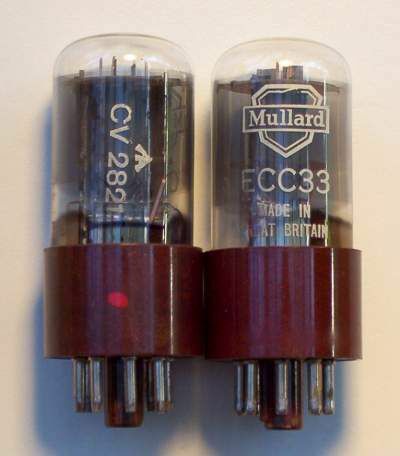 Has typical Mullard lush sound. best you can buy. They have slightly higher gain which is an added benefit. Great air and soundstage with beautiful bloom, the Holy Grails of 6SN7's. Has received full cryogenic treatment. 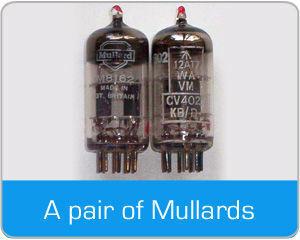 This is a classic saw tooth Mullard rectifier with the hole (see photo) in the bottom. 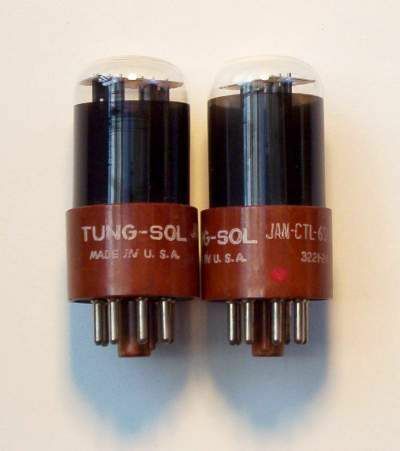 This rectifier tube has 20-30 s delay to let rest of tubes to warm up. 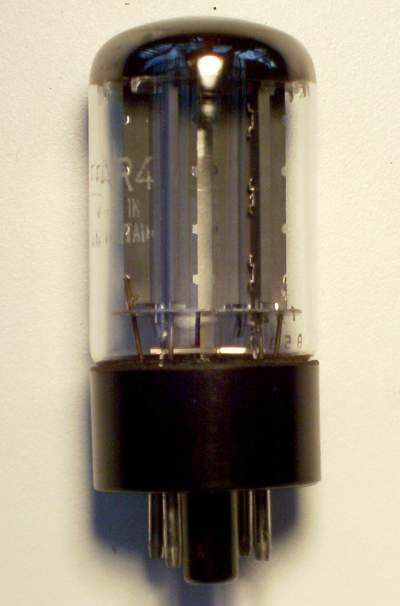 Considered to be the best available GZ34 rectifier tube. Great timbre, lovely warm sound. 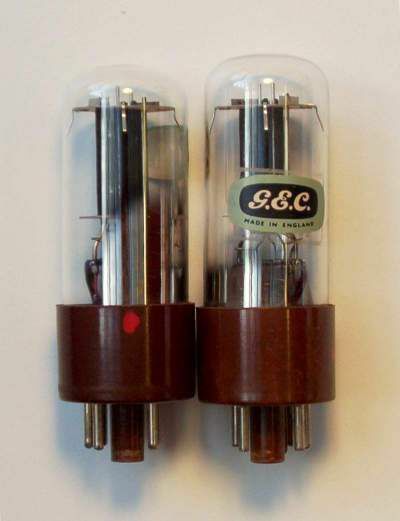 4 x GEC 5J5T 6J5G CV1067 NOS Have received full cryogenic treatment. 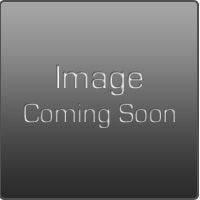 These GEC 6J5s are considered to be the best of the 6J5 family. Very rare, great extension top and bottom, very clean and detailed. Tung-Sol 6SU7 6SL7 NOS Have received full cryogenic treatment. These are the round plate, black glass, early Tung-Sols. 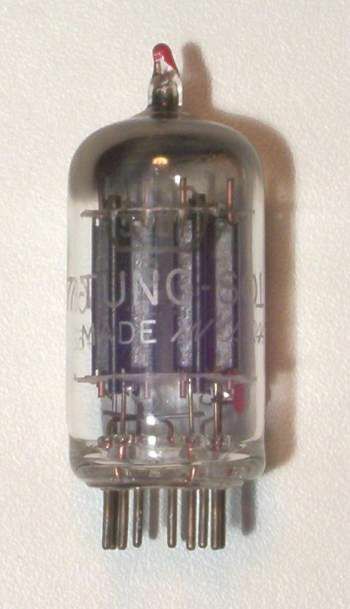 Same batch, made in 1951. These are high grade 6SL7's with better gas evacuation, perfectly matched sides. Sounds rich and musical. Has received full cryogenic treatment. Best available. Very musical, rich, warm and involving. Brilliant on vocals. Has received full cryogenic treatment. The best 6DJ8 available. Has received full cryogenic treatment. Sounds similar to non-cryo treated NOS Amprex Bugle Boy in my Audio Research LS2. There was a stunning improvement in every perceivable parameter. What struck me at first was the blackness, lack of grain, hash and noise between the instruments. The voice appeared to be so much more realistic, as a person right there in front of you, coming out of an absolute black background. It was like real music, rather than artificial. At first I couldn't believe my ears. I swapped back to a standard set of Bugle Boys 6DJ8s and confirmed that I'd never be able to go back to an untreated tube again. 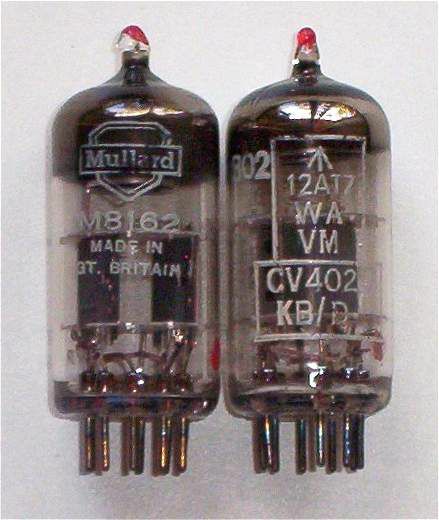 I knew I had to do all my tubes. What can I say man? I am floored! The improvements are immediate and very obvious, as compared to a similar untreated CV4003. The treated versions are hands down the winner. Blacker backgrounds and deeper bass without loss in the highs, in fact the range appears to have extended. The detail is amazing even with ordinary CD! CryoMusicSystems has developed proprietary processes and custom equipment to optimise the treatment of CDs and as a result, found similar dramatic improvements in SACDs and DVDs. The background hash disappears giving a smooth clean presentation of the music. Voices and instruments are clearer and more clearly separated, more alive, more involving and more musical. Video quality in DVDs are also improved, with more and cleaner data being extracted from the disc after cryogenic treatment. 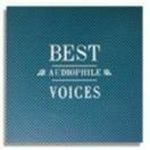 Best Audiophile Voices Vol 1, 2, 3 and now just released 4. 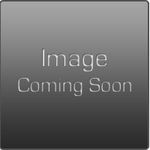 This imported gold disc from thePremium label assembles fifteen great tracks from female vocalists. The overall mastering is expertlydone making this more than just a demo disc or sampler. CryoMusicSystems are the Australiandistributors for Premium Records and offer these fabulous CD's perfected using our Deep Dry Cryogenic Treatment. Please contactus for availabilities and prices. The untreated Audiophile Voices 3 CDsounded grainy, mushy and murky compared to the CryoMusic treated CD. To my surprise, from the very first few seconds it was evident the treated CD was much better. It had improved definition, focus and control,sounded cleaner and gelling better a whole lot more musical. Santa Sue, Ultimade Audio Systems, Singapore. Your treated CD (Audiophile Voices 3) I must say is a remarkable improvement compared to same untreated one! I would describe it as darker andblacker, more definition, lush and very detailed, there is also an immediacy andstrong presence as if the vocalist is in front of me. Why would cryogenic treatment improve the sonic quality of CDs? CDs, SACDs and DVDs are moulded frompolycarbonate polymer, a material known for its optical clarity. Duringthe moulding process, the polymer is melted, stamped under high pressure and then cooled rapidly. Thisrapid change in temperature causes stress points in the material knownas birefringence. Deep, Dry Cryogenic Treatment by CryoMusicSystemsremoves these birefringence defects by relieving the stress in thepolycarbonate polymer, thereby eliminating optical errors from your disc and allowing your playback system to extract maximum information. Are the effects of this treatment permanent? Yes. The treatment is a once-only treatment, making it permanent. Does the treatment improve the sound of bad recordings? No it cannot improve a bad recording. It only improves the quality of thedata being processed by your player. How can you tell a disc has been treated? Apart from the sonic improvement, physically the disc feels 'softer' and less hard or brittle after treatment, as the treatment is a stress relieving process.